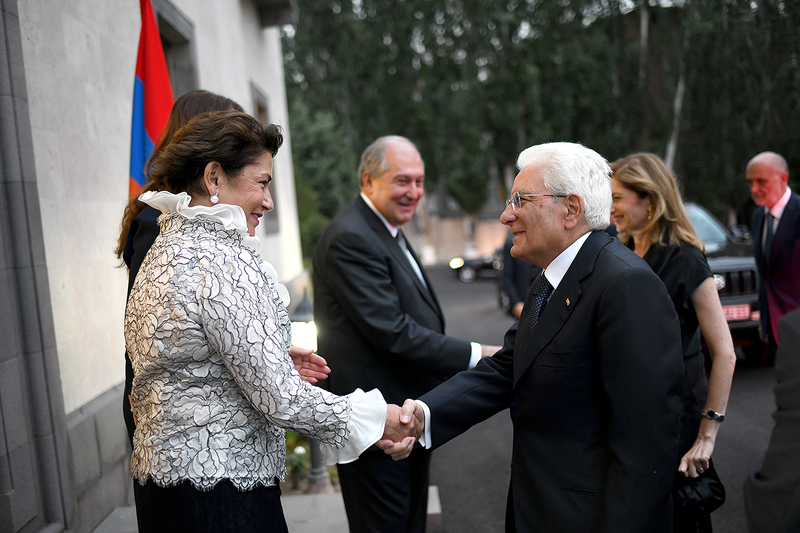 In honor of the President of Italy Sergio Mattarella and Ms. Laura Mattarella, who are in Armenia on a state visit, tonight President Armen Sarkissian and Mrs. Nouneh Sarkissian gave a state dinner. 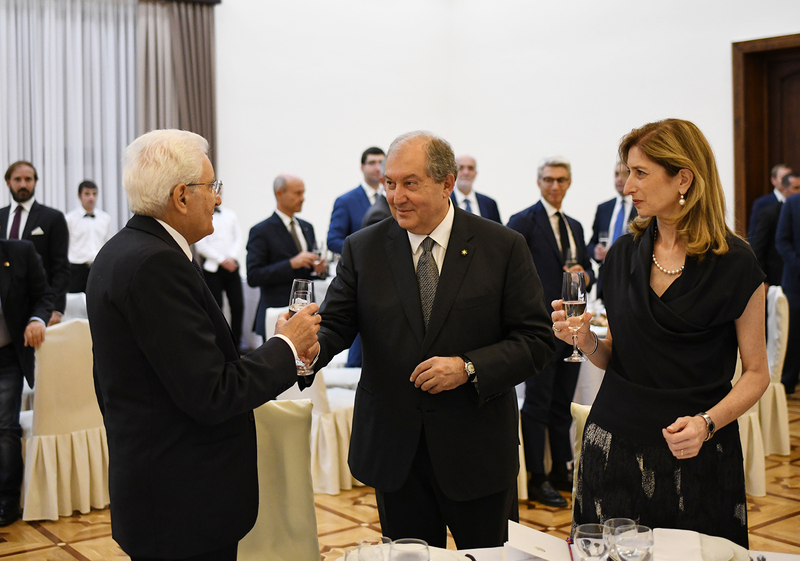 Presidents Armen Sarkissian and Sergio Mattarella exchanged toasts in which they spoke about the centuries-long Armenian-Italian friendship, strong interstate relations formed in the last 25 years since the establishment of diplomatic relations and prospects of their development, as well as about the issues of the bilateral Armenian-Italian agenda of cooperation which encompasses different areas. 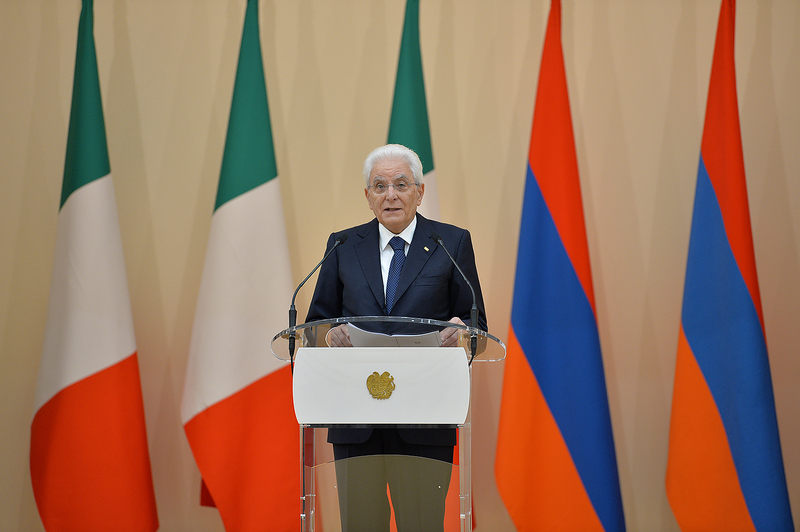 It is a great honor for us to host the President of Italy Sergio Mattarella and his delegation in Armenia. With my Italian colleague, we have already had a chance to the discuss the course and perspectives of the development of the Armenian-Italian relations. 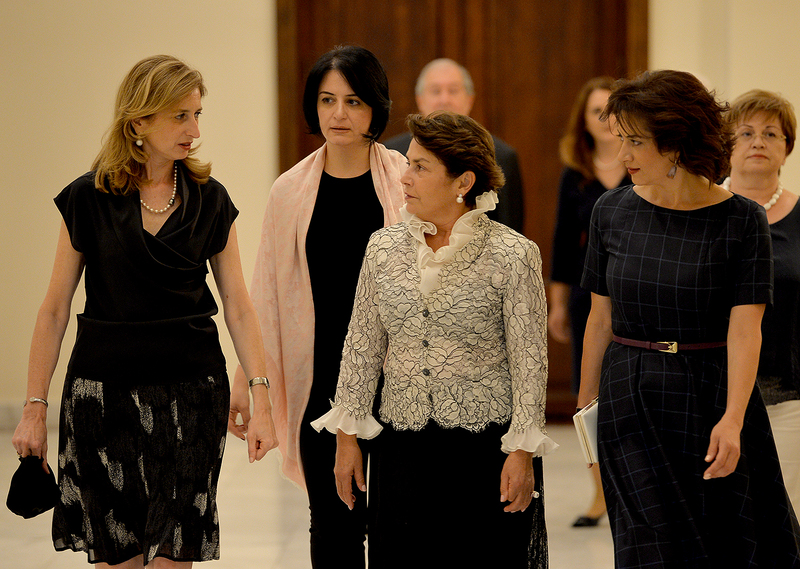 We are deeply interested in a continued cooperation, also in enriching the agenda of our political dialogue by new areas and programs. 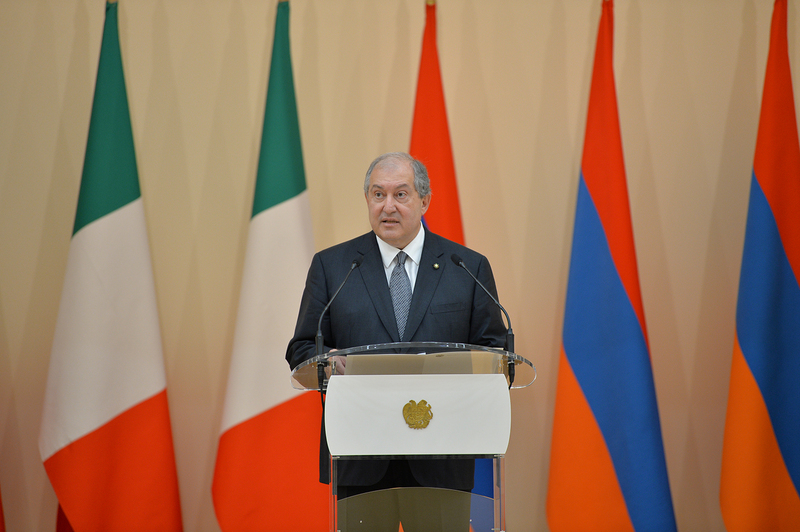 Last year, we commemorated the 25th anniversary of the establishment of diplomatic relations between our countries. 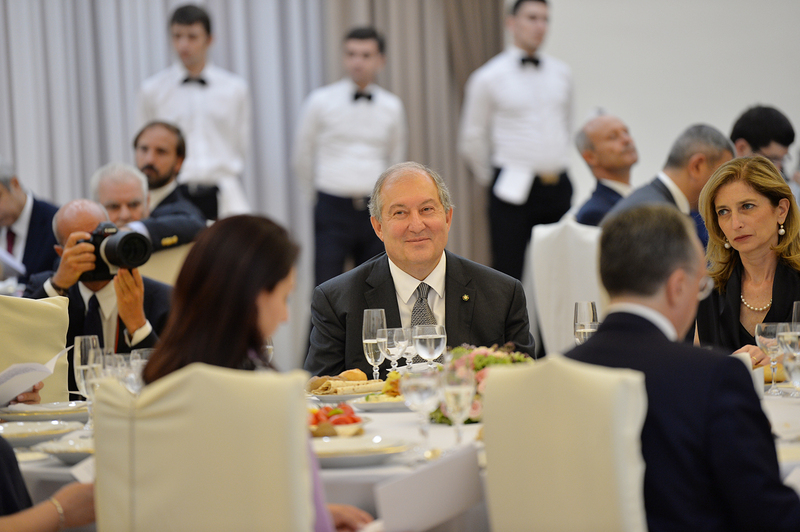 I believe the mutual trust established between our countries serves as a strong signal for expanding cooperation in the areas of economy, trade, culture, education, science, and other areas. We are separated only by distance but common things that unite us are plenty. Personally, I have strong connections to Italy. I used to teach at the University of Bologna, lived and lectured at the Erice Scientific Center in Sicily. In Rome, I often visited the old Armenian Quarter between Piazza Barberini and Via Veneto with its Levonian School, as well as Villa Abamelek, and Saint Vlas Church. Every Armenia while touring Italy, feels something close to the heart, at every step sees the evidence of our peoples’ ancient friendship. At different stages of its history, Armenia was an ally or part of the powerful Roman Empire; in the Middle Ages, the Cilician Armenia maintained close political and trade relations with Italy, in 14-15 centuries, Armenians and Genoese reigned together at the Theodosia, in Crimea. By the way, Mr. President, the Savoy Royal family still holds the title of the Royal House of Cilicia. Armenian Christians greatly value the fact that the first Catholicos of the Armenian Church - Saint Gregory the Illuminator came from Rome, came from Constantinople but his relics are also kept in Italy, in the Saint Gregory Armeno Churches in Napoli and Nardò. In modern times, one of the most important centers of the Armenian cultural renaissance was Saint Lazarus Island in Venice where the Mekhitarist Congregation, which has been a major center of Armenian Studies for almost three hundred years, has been bringing its invaluable contribution to the development of the Armenian and world scientific, educational, and cultural treasury. The Armenian Venice, with its Armenian Quarter, palaces, Murad Rafaelian College and churches today too is a source of our common, Armenian and Italian pride. Today, we take pride in our past but are also looking with great expectation into our future. 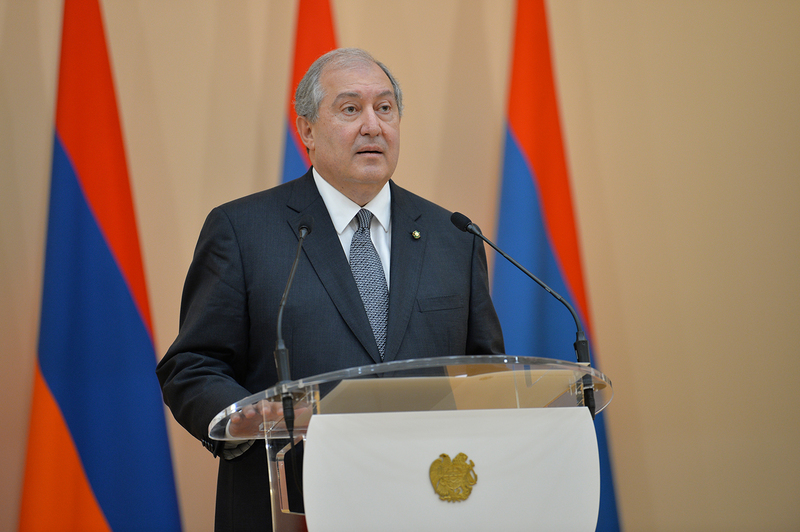 Today’s new, democratic Armenia carries out a balanced and trustworthy international policy. On this, we rely on the support of our partners. Italy is one of our best friends, and we will do the utmost to deepen our relations, to make them even warmer and more mutually beneficial. 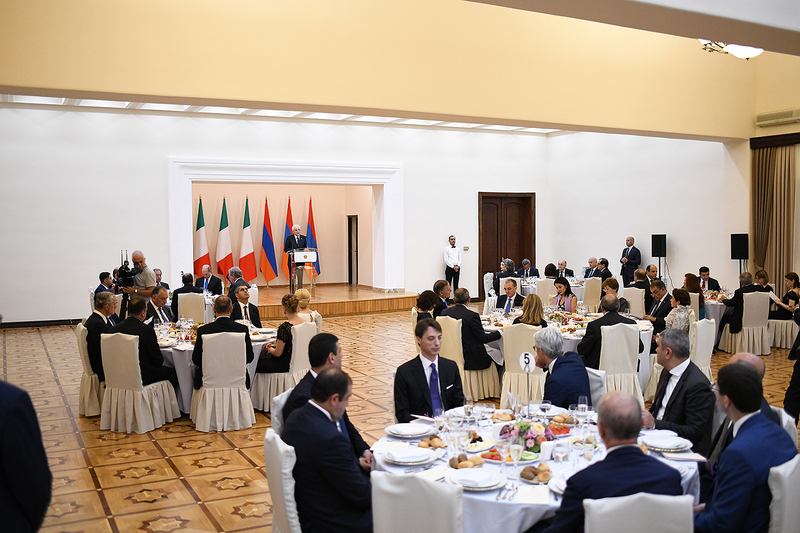 Armenia and Italy have great opportunities to further relations in the areas of economy, business, education, culture, and others. On November 24, 2017 Armenia and the European Union signed the Comprehensive and Enhanced Partnership Agreement. 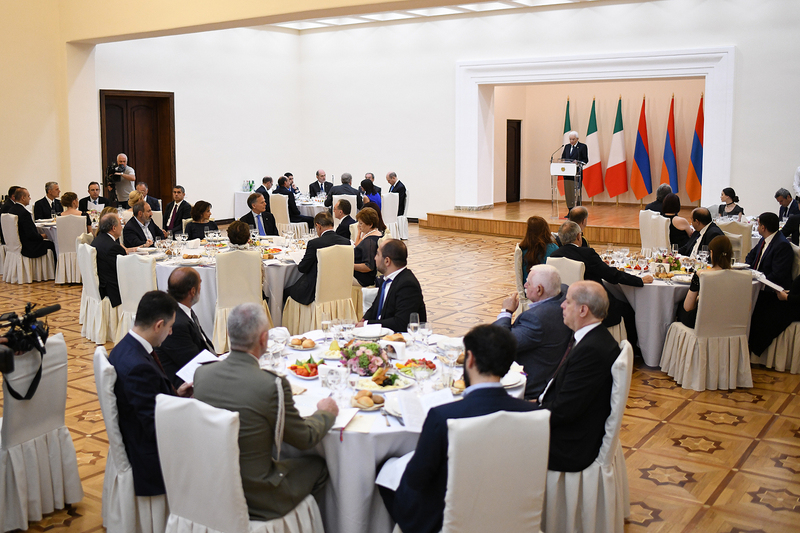 Thus, Armenia, which has always been an indivisible part of Europe, further deepened its partnership with the European family, and with Italy in particular. 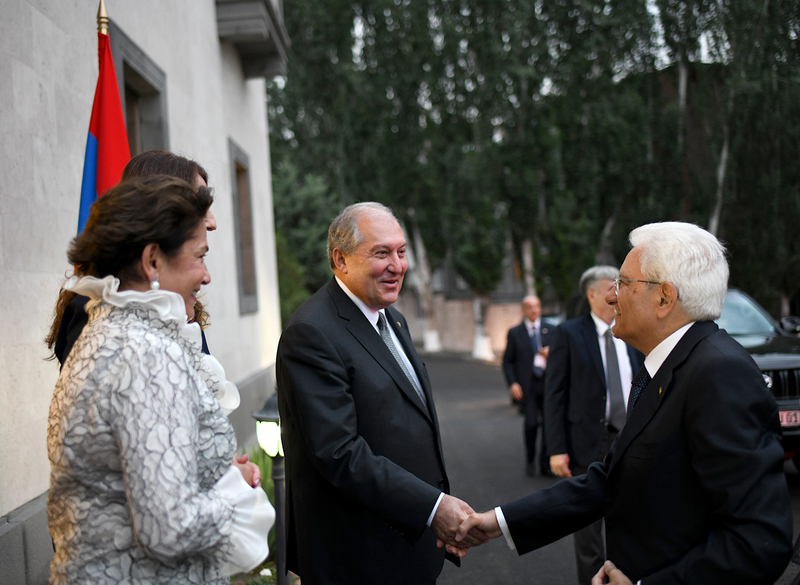 The Armenian-Italian cooperation is also promoted by the Armenian community of Italy. Many of the members of that community are descendants of the survivors of the Armenian Genocide of 1915. The national hero of Italy Giuseppe Garibaldi once said, “I insist that men shall have the right to work out their lives in their own way, always allowing to others the right to work out their lives in their own way, too.” We, Armenians, totally share that viewpoint, that’s the essence of the just struggle of the people of Nagorno Karabakh – to master their own destiny. 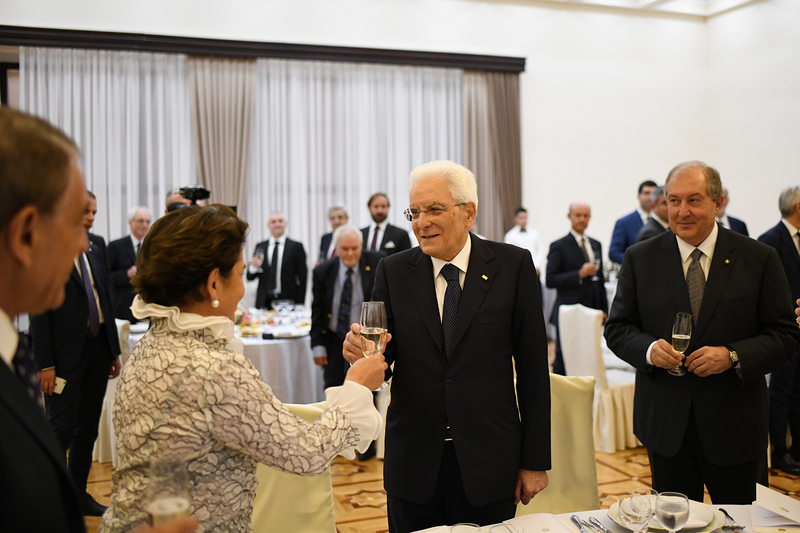 I propose a toast for the prosperity and peaceful future of our peoples, for the sincere Armenian-Italian friendship and personally for the President of Italy, Mr. Mattarella.